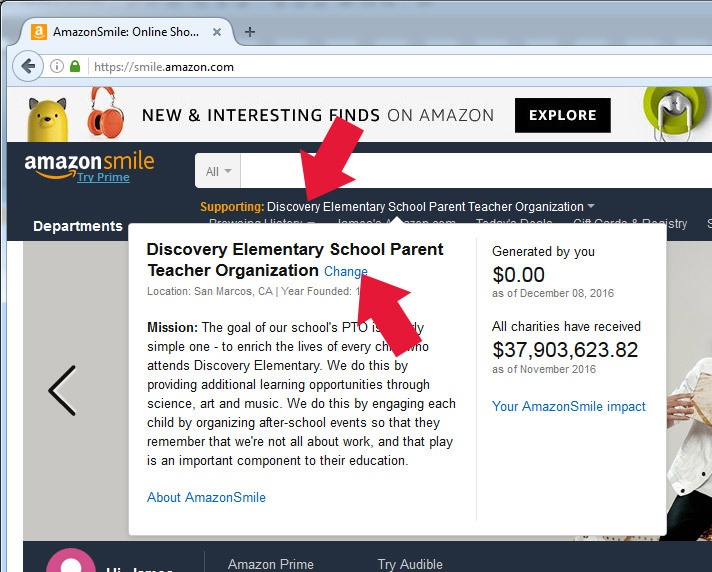 So you’re saying I can raise money for Discovery just by shopping on Amazon? That’s right! If you’re already an existing Amazon.com customer, you can choose Discovery Elementary to receive a small percentage of nearly all of your Amazon purchases. It doesn’t cost you anything, and you’ll be helping Discovery raise more for science, art, music and technology! Instead of shopping on amazon.com, train yourself to shop at AmazonSmile (smile.amazon.com). It may take a few tries to remember, but you’ll get it. 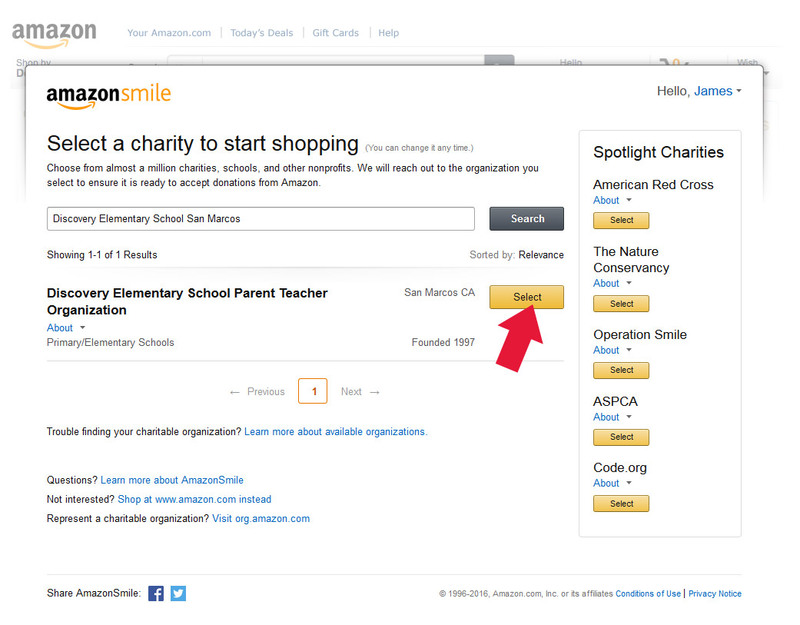 Note that your orders on amazon.com and the Amazon Mobile App do not apply towards your AmazonSmile donations… all orders must originate from smile.amazon.com to qualify. 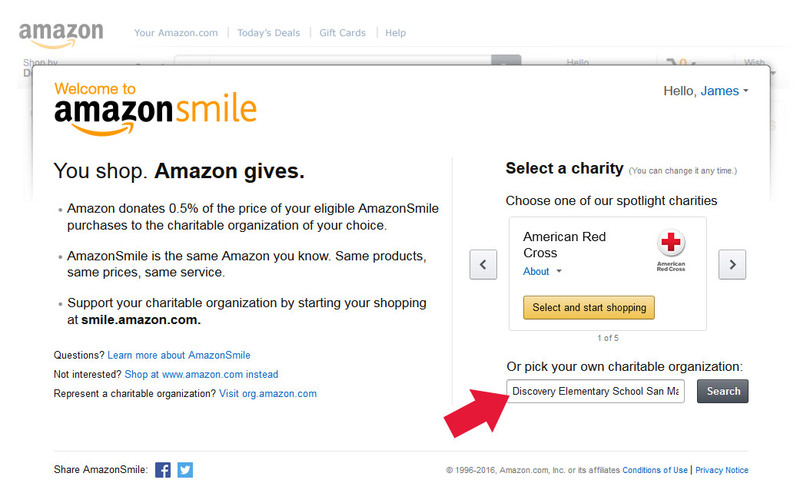 If you haven’t already chosen a charity to support, you can search for ‘Discovery Elementary San Marcos’ to select us. If you have any questions, please contact us – we love to help! The search should find ‘Discovery Elementary School Parent Teacher Association’ in ‘San Marcos CA’ – press the ‘Select’ button. Affirm you understand how it works, then click the Start Shopping button! But what if I’m already supporting another charity? 1. Put your cursor on the current charity you’re supporting, then click the ‘Change’ link. 2. Search for ‘Discovery Elementary San Marcos’ to make the switch. Now you’re supporting Discovery!